Dr James Kingsland and Dr Nav Chana will continue in their respective roles as President and Chair of the National Association of Primary Care (NAPC) following re-election at the organisation’s annual general meeting (20 September). 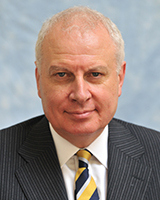 Dr Kingsland, OBE, is a senior partner in a renowned general practice in the North West of England and has been NAPC President since 2008. Dr Chana, a GP at the Cricket Green Medical Practice in South London, has chaired the association since 2014. Both have been integral to the development and roll out of more than 190 primary care home (PCH) sites across England. The NAPC is a leading membership organisation representing the interests of primary care professionals including general practitioners, nurses, practice staff, pharmacists, opticians and dentists. It’s at the centre of shaping the future of healthcare, spreading innovation, influencing policy, supporting and connecting professionals across primary care – enabling them to provide world-class sustainable patient-centred healthcare. 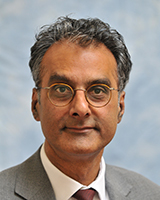 Dr Minesh Patel was re-elected Vice Chair, Dr Durairaj Jawahar will continue as Treasurer and Karen Acott stays in her role as Honorary Secretary. Council member Julie Bolus was elected as a new executive member. She is a registered nurse and Non-Executive Director of Locala – a large community provider in West Yorkshire.